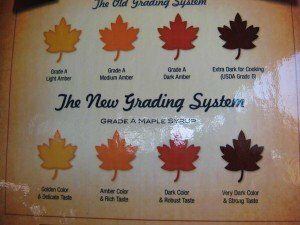 USDA revised grading of maple syrup in 2015: 1) US Grade A Golden, delicate flavor; (2) US Grade A Amber, rich flavor; (3) US Grade A Dark, robust flavor and (4) US Grade A Very Dark, strong flavor. 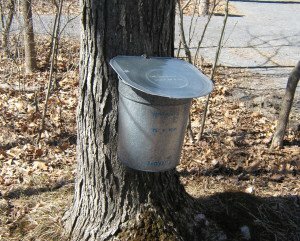 When the sap begins to run and boiling kettles start producing sweet and savory maple syrup, my mind turns to waffles, hot off the iron, topped with maple syrup. I love the combination of sweet and sour, and maple syrup and tart cranberries are a perfect combo. This recipe for cranberry pecan waffles is a special treat in early spring. In the late fall, just after Thanksgiving, I stock up on fresh organic cranberries and over the years have been able to obtain Cape Cod cranberries at my local food co-op. Unfortunately, this year the Honest Weight Food Co-op in my hometown of Albany never offered cranberries from the Cape and I settled for organic Canadian cranberries from Notre-Dame de Lourdes in the Lanaudière region of Quebec marketed by Fruit d’Or. By early April, I was down to one 8 ounce package of fresh cranberries, out of the dozen or so purchased at the end of 2015. 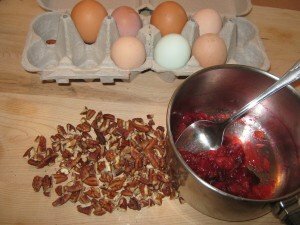 With a handful sprinkled into my morning oatmeal as it cooks on the stovetop, cranberries are a part of my daily diet in season and my cache of fresh cranberries goes fast. (Off season, if the craving strikes, I settle for a handful of Stahlbush frozen cranberries, “sustainably grown in the United States,” also sold at the Honest Weight, sprinkled in the oatmeal as it cooks.) A light bulb moment provided the perfect way to utilize my remaining fresh cranberries by cooking up a batch of cranberry pecan waffles topped with this season’s maple syrup. I take special care in sourcing the few ingredients needed for these delicious waffles and though a sweet treat, they have nutritional value from the organic, stone ground whole wheat pastry flour from Farmer Ground in Trumansburg (Tompkins County, NY), organic raw pecans from The Green Valley Pecan Company in Sahuarita, Arizona, Cowbella plain kefir (cultured milk with its probiotics) from nearby Jefferson (Schoharie County, NY), and Skyhill Farm Eggs from Seward in Schoharie County, NY (no gmo, no soy, certified organic feed from heritage hens hand-raised and free-roaming in garden and pasture). For vegetable oil, I like to use sunflower oil with its mild flavor and Spectrum Organics’ sunflower oil is a 100% mechanically (expeller) pressed refined high oleic oil (with higher concentrations of healthier monounsaturated fats). This naturally refined variety has not been exposed to chemicals like cheaper oils, and has a high “smoke point” making it ideal for the high heat of the waffle iron. Heat up 1/4 to 1/2 cup of water in a small sauce pan and add the whole cranberries to cook down into a sauce (about 5 minutes, stirring occasionally). Place other ingredients in a large mixing bowl and combine until smooth. Add the cranberry liquid/sauce and stir. Batter should sit for a few minutes before using. Heat up the waffle iron. I use setting 3 of the 5 settings on my iron and cook the waffles for 2 minutes or so until they are golden brown. 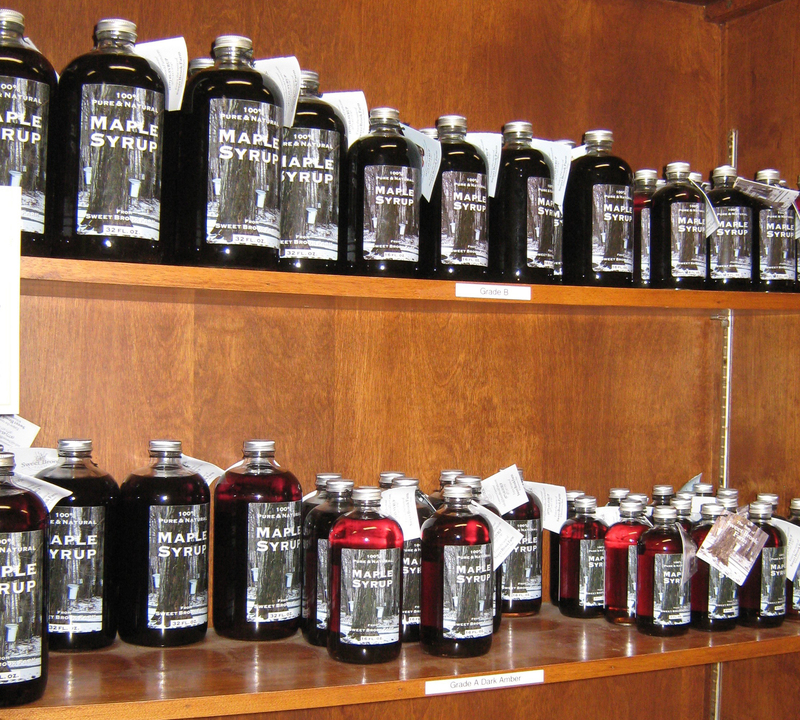 At the Honest Weight, there are 3 or 4 maple syrups sold in the bulk food department; all produced by Bruce Roblee Adirondack Maple Farms of Fonda (Montgomery County), New York. and the friendly co-op workers, if asked, permit a tasting of the varieties. One always stands out as preferable to my taste buds. This maple sugaring season, a beautiful drive from my home in Albany, over the Petersburg pass to Williamstown in the Berkshires of western Massachusetts, ended at Sweet Brook Farm and a short hike through the farm’s sugar bush before stocking up on a couple bottles of the farm’s delicious maple syrup. How satisfying to know where the syrup for my latest batch of cranberry pecan waffles was sourced! 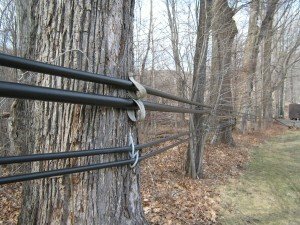 The northern Berkshires are one of the most scenic spots in the Greater Northeast and Sweet Brook Farm is in the heart of maple syrup country. An added benefit of the farm’s location: just down the road is the renowned Clark Art Institute in Williamstown. A little over ten years ago, the Institute mounted a memorable exhibit called Sugaring Off, The Maple Sugar Paintings of Eastman Johnson. 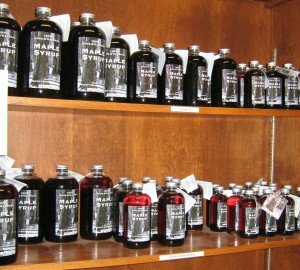 Johnson, who lived in Fryeburg, Maine, as a child, used the sugaring off season to celebrate New England ingenuity, ruggedness, independence, and community spirit. Check out our webpage for maple syrup producers and for information on maple syrup festivals. 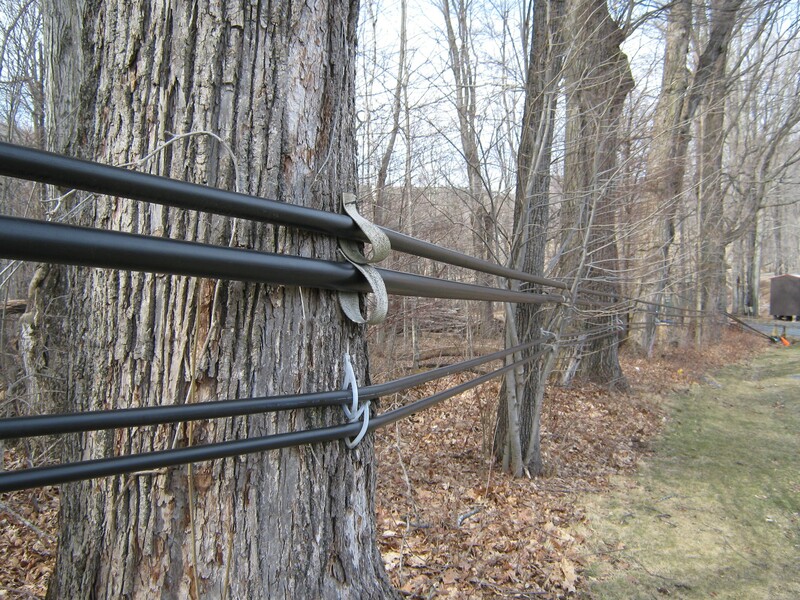 Enjoy knowing where the syrup for your waffles and pancakes comes from.